Manuel Pickburn, reported missing earlier this afternoon, has returned home safely. Thanks for the RTs. Police are asking for the public’s help to find a missing Autistic man. Forty-seven year-old Manuel Pickburn was last seen around 1:00 p.m. in the area of the Seabus and Waterfront SkyTrain Station at West Cordova and Granville Street. Manuel is 5’11”, 180 lbs., with light brown, balding hair, and brown eyes. He was last seen wearing a black jacket, dark blue jeans and black shoes with Velcro straps. He was carrying a black nylon lunch kit. Mr. Pickburn is a low-functioning Autistic man with Tourette’s and Epilepsy. He is overdue for seizure medication, and does not know how to find his way home. Area searches as well as checks of local hospitals and other police jurisdictions have failed to turn up any signs of the missing man. Anyone who sees Manuel Pickburn is asked to call 9-1-1 immediately, ask for police and ambulance, and keep an eye on him until officers arrive. 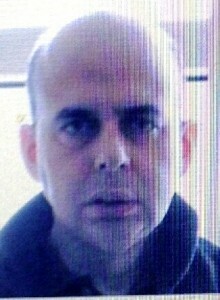 This alert, "CANCELLED: Missing 47 y/o male Manuel Pickburn with Autism" imported on 2015/05/06 23:00 was originally posted to the "VPD Media Releases" web site and is provided here for alerting purposes. Please see the original post for authoritative information and updates on the missing person. The Burnaby RCMP is hoping the public can help them find Joseph Normand who went missing on April 20 from Queens Park Care Centre, a care home in New Westminster at 315 McBride. Mr. Normand was last seen in Burnaby at the intersection of Lougheed Highway and Austin Avenue around 10:30 am yesterday. Police are concerned because Mr. Normand suffers from dementia and speaks French with little English. He was last seen wearing a brown fleece jacket with dark-coloured pants and was also carrying a dark-coloured jacket with yellow on it. He wears a medical bracelet and he may have the hospital ID band on his wrist. If you have seen Mr. Normand, please contact the Burnaby RCMP at 604-294-7922 and ask for the Missing Person Unit. 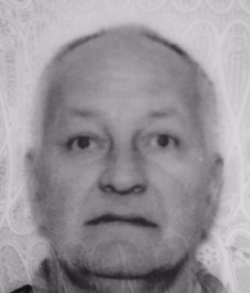 This alert, "CANCELLED: Missing 77-year-old Joseph Normand in Burnaby" imported on 2015/04/21 17:58 was originally posted to the "RCMP Lower Mainland Missing Persons" web site and is provided here for alerting purposes. Please see the original post for authoritative information and updates on the missing person. Vancouver Police are asking for the public’s help to find a missing 64-year-old woman. 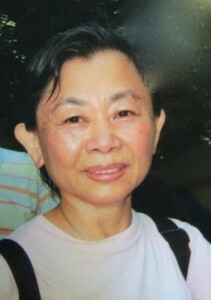 Shu Hui Chang was last seen by her husband at their home on W. 49th Avenue near Main Street at 6:30 on the morning of April 15th. Mrs. Chang has early stage dementia and other health issues that have her family concerned. She is described as Asian, 5’1″ tall, 125 lbs., with short black hair. The missing woman is believed to be wearing white pants with black flowers, red shoes, possibly a red hat and carrying a red hand bag. She does not speak English and may appear confused or disoriented. Anyone who sees Shu Chang is asked to call 9-1-1 immediately and stay with her until officers arrive. This alert, "CANCELLED Help Police Find Missing Woman with Dementia" imported on 2015/04/16 04:41 was originally posted to the "VPD Media Releases" web site and is provided here for alerting purposes. Please see the original post for authoritative information and updates on the missing person. Update: Victor Ronald Pearson, reported missing yesterday, has been found and returned safely to RCH. Thx for sharing! New Westminster – The NWPD is asking for the public’s assistance in locating Victor Ronald Pearson. 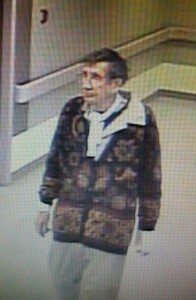 Mr. Pearson is a Caucasian male, 80 years old, standing 5’9” tall with a slim build, weighing approximately 130 pounds. He has short, brownish white hair and was last seen wearing a grey long sleeved sweatshirt, beige pajama pants and eyeglasses. He suffers from dementia and was last seen at approximately 1:50 pm today as he wandered away from Royal Columbian Hospital. This is not the first time Mr. Pearson has wandered away from the hospital. One week ago, he was found near Lougheed Highway in Coquitlam resting on a bench approximately 3 hours after going missing. Members of the NWPD are actively searching for Mr. Pearson and ask if you see anyone matching the description to please call 911 immediately. This alert, "Cancelled: NWPD requests assistance in locating missing elderly male" imported on 2015/03/23 22:31 was originally posted to the "New Westminster Police Media Releases" web site and is provided here for alerting purposes. Please see the original post for authoritative information and updates on the missing person. New Westminster – The NWPD is asking for the public’s assistance in locating Victor Ronald Pearson. Mr. Pearson is a Caucasian male, 80 years old, standing 5’9” tall with a slim build, weighing approximately 130 pounds. He has short brownish, white hair and was last seen wearing a black colored cardigan sweater with a pattern on it. He is also wearing a beige pajama shirt and pants. Mr. Pearson has a splint on his left forearm which may not be visible under his sweater. He suffers from dementia and was last seen at approximately 2:30 pm today as he walked away from the Royal Columbian Hospital. This alert, "CANCELLED: NWPD requests assistance in locating missing elderly male" imported on 2015/03/16 23:32 was originally posted to the "New Westminster Police Media Releases" web site and is provided here for alerting purposes. Please see the original post for authoritative information and updates on the missing person. 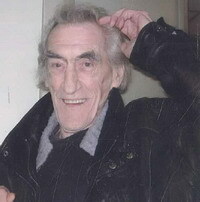 NORMAN is believed to be on foot and could be anywhere in the wilderness or park land. NORMAN suffers from a brain injury as a result of trauma from a past motor vehicle collision.